He defeated the Borg and saved humanity's future. He battled the omnipotent imp Q many times, and always came out on top. He worked alongside Ambassador Spock, formed a legendary alliance with Dathon ("Darmok!")... and also played the Ressikan flute from time to time. As captain of the USS Enterprise-D (and -E), he led his crew to strange new worlds, seeking out new life and new civilizations. He is Jean-Luc Picard -- and his memoirs are coming to a bookshelf near you soon. 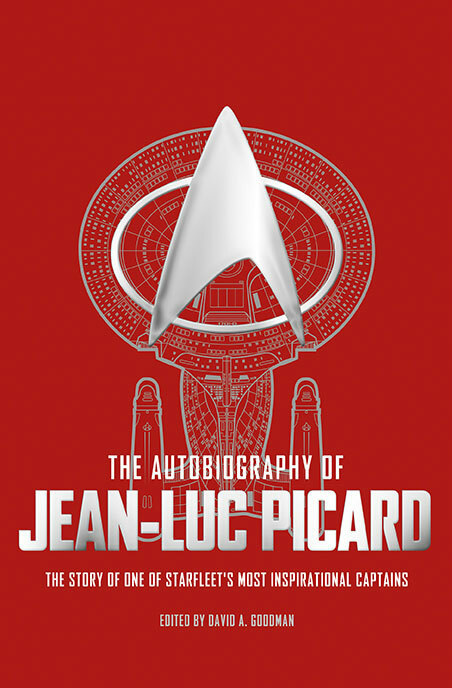 The Autobiography of Jean-Luc Picard is an in-world memoir chronicling the story of one of the most celebrated names in Starfleet history. His extraordinary life and career makes for dramatic reading: court martials, unrequited love, his capture and torture at the hand of the Cardassians, his assimilation with the Borg and countless other encounters as captain of the celebrated Starship Enterprise. David A. Goodman, who also wrote The Autobiography of James T. Kirk, has spent the last 26 years writing for television. 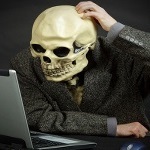 His credits include The Golden Girls, Star Trek: Enterprise, Futurama (where he wrote the Nebula Award nominated Star Trek homage “Where No Fan Has Gone Before”), and Family Guy, where he was head writer for six years. Cool, I really enjoyed the Kirk one. I'll be sure to pick this one up too.